We have available areas for both production and offices in the industrial park. We currently have vacant offices and some production facilities in the industrial park. In addition, we are able to project and put up new buildings according to their wish to needs. We know the situation in Lithuania well and has completed several industrial construction projects, both rehabilitating of existing buildings and new buildings. 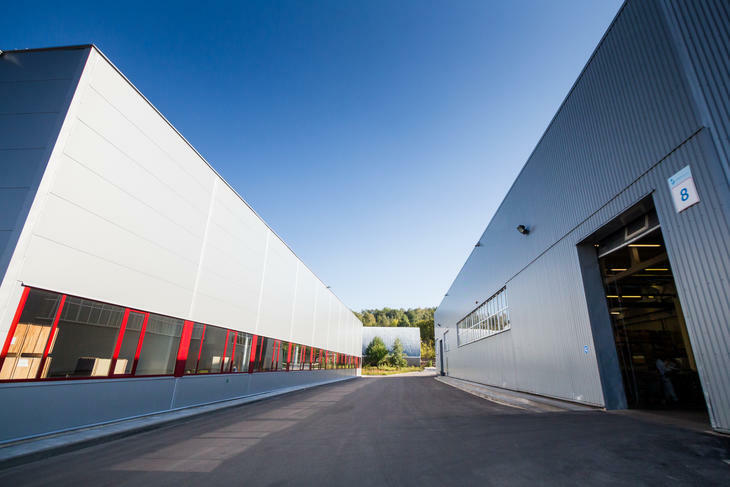 Not later than July 2014, we completed a separate building for Swix with a total of 5.400 m2. By using our experience and knowledge, you will save both time and money. You can focus on your core business and the whole setup process while handled for you. The entire project will be led by our Norwegian colleagues so that you can feel secure. Please contact CEO Olav Jegtvolden for more information.